Are you a real estate investor looking for a fast and easy source of financing? Have you tried to get financing from a conventional mortgage lender? Even the best real estate investors have trouble getting financing from conventional lenders. BridgeWell Capital is your solution! Providing hard/private money loans for residential investments in Indiana, we can help you quickly finance your deals and achieve your real estate investing goals. Whether you are looking to buy, fix and sell a residential, single family property in Fremont, or rent home in Mount Vernon, Indiana we have the right hard money or private money loan program that will fit your needs. Don’t waste your time going through the painstaking, time-consuming, stress-creating process of conventional financing. With BridgeWell Capital’s hard money loans program you can get pre-approved in 5 minutes and get your funding fast, typically in as little as 7 days. Our hard money loans are largely based on the value of the collateral, bypassing the long stretch of procedures used by traditional lenders. Bad credit score? Self-employed? Recent foreclosures or shortsales? With private money lending, none of that matters. As long as your deal makes sense, BridgeWell Capital is likely to approve your hard money loan request. For more information or questions about our hard money loans, feel free to call us at 317-296-7000, you can also contact us through our Contact Us Form. If you are ready to invest, you can submit a hard money loan application today. Along with the rest of the nation, the Indiana housing market has experienced a difficult recovery in the past seven or eight years. However, when looking at historic data of the state, Indiana did not fully experienced that “bubble” effect that brought the entire nation upside down. Analysts point to Indiana’s economic performance as the main driver of the housing market, rather than the general trend of the nation’s market. Today, Indiana is showing signs of significant improvement in the housing market. Ever since 2012, Indiana has produced better results for market activity and housing prices every month on a year-to-year basis. As of October 2013, the number of existing, single-family homes sold statewide increased 15.9 percent when compared with the same period in 2012. The median sales price of $122,800 in 2013 is a 4.1 percent increase from the first 10 months of last year. Arguably, one of the greatest challenges of the Indiana housing market is the foreclosure situation. In the early 2000s, Indiana had one of the highest foreclosure rates in the nation. While the state is balancing out, foreclosure rates are still keeping home builders in the margins. The good news for investors looking to buy-fix-sell or buy-fix-rent is that there is plenty of inventory in the pre-market segment, and demand from homebuyers is still on the rise. Empowered by low prices and interest rates, and an upswing in wages and employment, homebuyers are starting to look for their next purchase. Statewide, Indiana is well past the recovery stage and is moving toward a stable, balanced marketplace. Experts tend to agree, all things being equal, that the housing market will continue to show considerable improvements. If you are an investor looking to buy-fix-sell or buy-fix-rent investment properties in Indiana, you need to find a reliable source of funding. Even if you have the cash available to purchase an investment property, you might want to consider using our hard money loans to make your investments more efficient. For more information about how to build wealth in real estate with our private money loans, see our 5 Secrets of Real Estate Wealth Building. Indiana is a 36419.52-square mile territory located in the Midwestern and Great Lakes region of North America. Indiana is the 15th most populous state of the country, with a population of 6,483,802 and a 6.63% growth since 2000. White is the most common race in the state (84.3% of the total population), followed by Black (9.12 %), Hispanic (6.01 %), Asian (1.58 %) and Other (4.96 %). Males make up 49.20% of the total population with a median age of 35.70, while females are 50.84% with a median age of 38.20. As of 2010, the median income per capita in Indiana is $22,806, which is 12.5% lower than the nation’s average ($26,059). The mean household income is $58,451, which is 13.37% lower than the national mean ($68,259). While these indicators give a sense of the demographic picture in Indiana, it is important to remember that each city and neighborhood in the state have different demographic profiles. For example, the mean household income in Indianapolis is $54,129 while the mean household income in South Bend is $45,252. 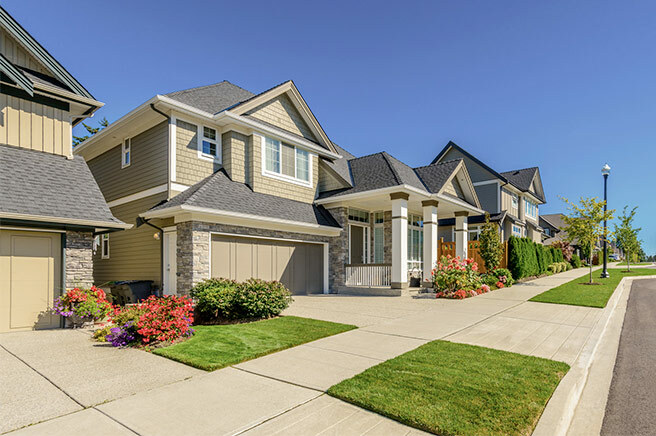 Real estate is a local market, two comparable properties in different neighborhoods may appraise differently because of their location, the school ratings, crime rates, etc. As an equal housing hard money lender, and to avoid steering investors away from particular neighborhoods, we can only provide general information. For more detailed demographic information, you can visit neighborhoodscout.com or movoto.com. At BridgeWell Capital we encourage our borrowers, to research the demographics of the area they want to invest in. Do your homework! You will make better use of your hard money loans and your likelihood of success would be much greater. Central Indiana Real Estate Investors Association (CIREIA) – Indianapolis, IN. Indiana REI Network – Fishers, IN. Indy Property Investors – Indianapolis, IN. Investor’s Choice Indy – Greenwood, IN. Northwest Indiana Creative Investors Association (NICIA) – Lake Station, IN. Southeastern Indiana Real Estate Investors Association – Greensburg, IN. Again, you do not need to be a member of a REIA to qualify for a hard money or private money loan, but it is definitely valuable for business doing and your development as a real estate professional, no matter how experienced you are. If you just want to get quick financing through our hard money loans, feel free to call us at 317-296-7000 or take a minute to submit our hard money loan request and one of our representatives will contact you shortly.